250gm Box. A product of Hunter’s Collection, Nairn’s brand. 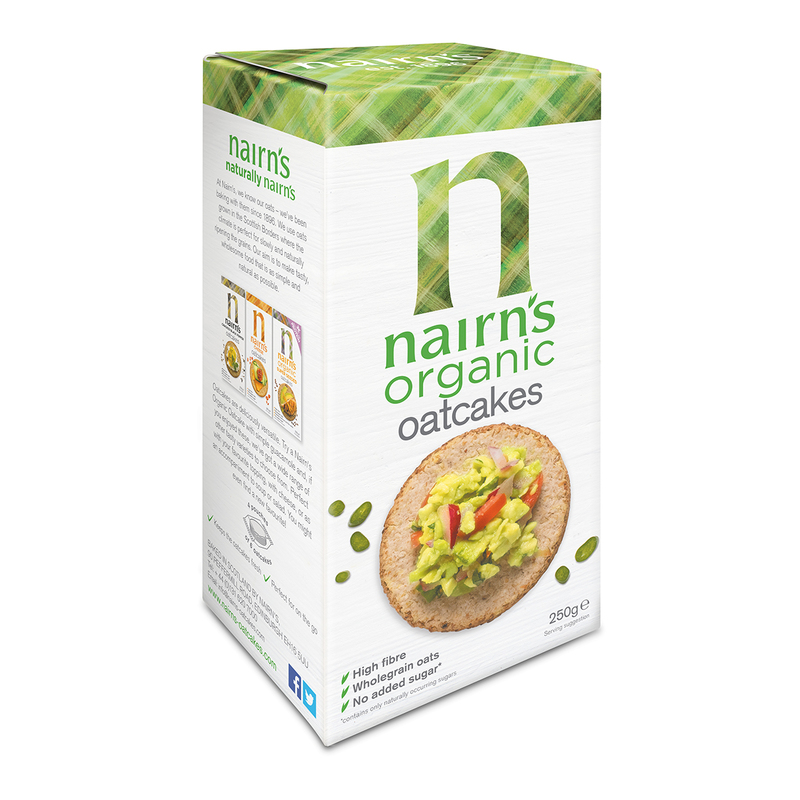 Made from organically grown oats, free from pesticides and insecticides, Nairns Organic Oatcakes contain no added sugar, genetically modified ingredients, artificial colourings, flavourings or preservatives. Enjoy them smothered in your favourite toppings knowing that they are not only good for you, but are also helping to save the environment one tasty snack at a time. Hunter’s Collection Organic Oat Cakes – Oats (250gm) 250gm Box. Biscuits & Crackers, Organic, MSG Free, Non GMO, No Preservatives, No Artificial Flavours, No Artificial Colours, Vegan, No Transfat, No Cholesterol. A product of Hunter’s Collection, Nairn’s brand. Organic wholegrain oats (89%), organic sunflower oil, organic sustainable palm fruit oil, sea salt, raising agent: sodium bicarbonate.